ISE has been now been running since 2004, and is the world’s fastest-growing and best-attended show in the professional AV and electronic systems space. Last year, we hoped to grow in terms of both exhibit space and attendance, but our actual growth, in both areas, was slightly higher than expected. The Eurozone had returned to recession at that point and the business climate was uncertain, yet once again ISE managed to buck the trend. 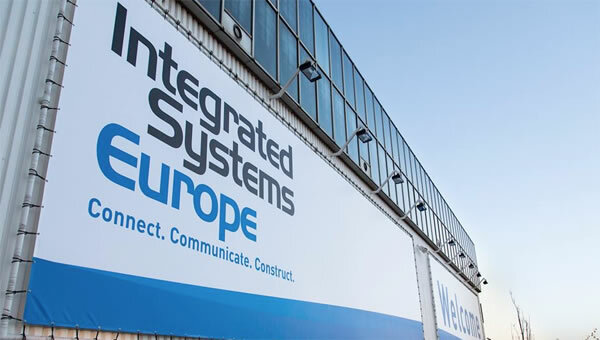 ISE 2014 will be held on 4- 6 February at the Amsterdam RAI, The Netherlands. This year, ISE will again occupy all 12 halls of the Amsterdam RAI and is set to attract more than 45,000 attendees from 140 countries. Maintaining its reputation for connecting new technologies, companies and end-user industries, ISE will continue to present an exciting show floor, featuring over 1000 product launches as well as a packed programme full of education and events. One of our priorities for ISE 2014 is improving wayfinding. Adding Hall 8 for the first time in 2013 gave our floorplan a new dimension. It took a bit of getting used to for visitors, so a key focus for us in 2014 is improving signage and access to that area. Indeed by standardising our floorplans, increasing the number of pop-up signs at the entrances to each hall and, crucially, opening Entrance F (the Park Entrance) for the first time, we will improve accessibility not just to Hall 8 but to Hall 7 as well. Finding your way around ISE 2014 will be even easier. Our net floor space will increase again, by almost 10%, and we believe our attendance will also grow. Perhaps most importantly, we will host over 160 companies who have never exhibited at ISE before. The growing influence of building automation on the residential custom install sector will be reflected in the nature of our exhibits and also in our Professional Development programme. InfoComm is offering free education vouchers, CEDIA is providing three full-day sessions on Monday 3 February (the day before the show opens), and we will also see the return of our Smart Building Conference, also on the Monday. Networking in the exhibits area of the last Smart Building Conference held in London. In addition, we are launching two new show-floor theatres which will give visitors the chance to learn from and engage with industry experts free-of-charge, in presentations that are not overly technical or product-driven. The Residential Solutions Theatre will be conveniently located in Hall 7, and is aimed at broadening the market for whole-house automation and intelligent building design, with non-technical presentations showcasing real-world case studies. A full programme will be published at the ISE website shortly. 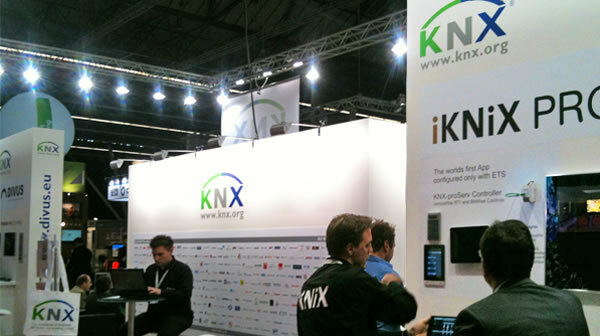 KNX manufacturer members who exhibit at ISE invariably have a great show. Many of the technology’s traditional customer base are from the electrical contracting or energy management sectors. At ISE, we have shown consistently that the AV sector represents a key new market for KNX and, as the worlds of home entertainment and multimedia distribution continue to converge with other disciplines such as IT, security, HVAC and more, we believe the ability of the custom installation community to integrate all these into a single, usable package will be critical to the future success of KNX. The AV sector represents a key new market for KNX. We have around 30 KNX manufacturer members exhibiting. Some (although not all) are in our Smart Building area in Hall 7, which is twice the size of 2013. There is a fantastic willingness on the part of ISE attendees to learn more about building automation, so we will also be repeating the introductory KNX training that we instigated so successfully last year. ISE is now easier to get around and offers even more to see and do, so if you are considering coming to the show, my advice is to allow plenty of time! It’s tempting to view Amsterdam as a ‘hop-in, hop-out’ destination, but ISE now offers such a wealth of new business and networking opportunities that, even in today’s time-pressured world, it really does merit a stay of at least two days – and preferably three. The great thing about ISE is that it always throws up something unexpected in terms of new technologies, so watch this space! Mike Blackman is the Managing Director of Integrated Systems Events, organiser of Integrated Systems Europe. ISE is the best-attended AV tradeshow, providing a unique meeting point for industry professionals from all over the world.